We provide friendly, easy-to-reach support and our customer service purposes "To meet consumers' satisfaction with high quality products and enjoyable purchasing experience. Solar powered string lights is more energy-saving and Eco-friendly without pollution, it will work at night and charge sunlight daytime automatically. 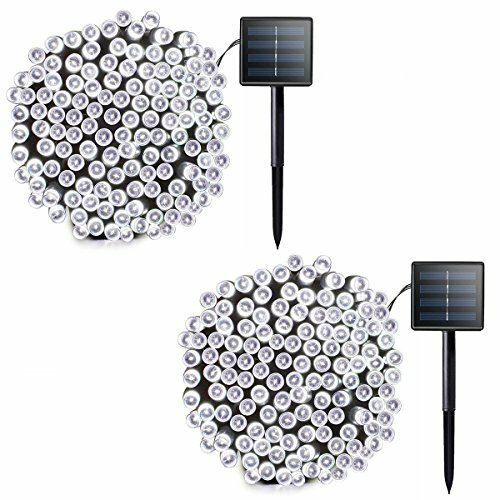 - This solar powered lights is energy-saving and Eco-friendly, stood by a 20cm garden spike. With ON/OFF, MODE two switches. - Hassle Free: Easy to install and operate, recharged by solar panel under sunlight automatically, totally Eco-friendly product no pollution. - Water resist IP65: can wildly use anywhere, perfect for indoor and outdoor decoration, the best choice on any occasions, garden, patio, lawn, Christmas tree, party, wedding, etc. - Eight kinds of lighting mode to meet your decoration needs. - The lights are all white until you light them. If you have any questions about this product by Lalapao, contact us by completing and submitting the form below. If you are looking for a specif part number, please include it with your message.